Pretotyping takes the guess-work out of innovation. It’s a proven, data-driven method for testing ideas and finding what customers love. Developed by Google. Perfected at Stanford University. and corporate innovators looking to make better-informed decisions. Discover the power of Pretotyping with an innovation industry expert. 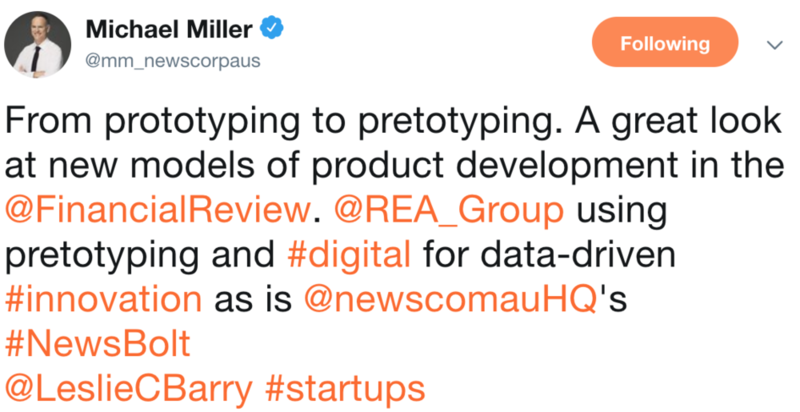 Exponentially helps Australian and international innovators build Pretotyping skills through practical, hands-on workshops. Test your own ideas in real time and learn how to make data work harder and smarter for you. Dive into Pretotyping with a two-hour taster workshop. The Apex Innovation workshop gives you a solid introduction to Pretotyping tools, techniques and tactics. This taster workshop will help improve your ability to identify the high-value products and services that are worth pursuing further. Go deeper with a practical workshop. During this two-day, hands-on training, you’ll gain a good understanding of Pretotype techniques in real time. Learn how to create a tailored Pretotype plan – and then put pretotype testing to work on collecting data from real-life customers. Fully immerse yourself in Pretotyping at this two-week intensive, designed for those who want to take the Pretotyping ball – and run with it. Learn how to maximise your return on innovation investment across different project types, sizes and stages and test ideas using low-cost, high-speed customer data. "What RACQ did learn quickly, and for little outlay, was that there was no point developing a fully fledged service in the hope that people would come. The experiment had showed that they wouldn't." In the world of innovation, no-one is immune from failure – we’ve all done it. And we’re all in good company: 80 per cent of new products fail, including products developed by the world’s most successful innovators. Pretotyping tools allow you to test your ideas earlier, before you’ve invested in costly prototyping and market research. Your ideas will be validated by customer’s actual behaviour – not by their paid-for opinions. base decisions on what customers actually do – not what they say you they’ll do.